On 15 November 2018, representatives of Swiss Agency for Development and Cooperation met with partners and beneficiaries of the Swisscontact projects in income generation activities for Roma community and waste management system improvement. “Social inclusion is about providing vulnerable groups with economic opportunities and access to jobs that fulfil their aspirations for improving living conditions, while working in a dignified way”, says Argjentina Grazhdani, PPSE manager. SDC representatives visited the house of Ismet Selimović, from the Roma community living in Gračanica/Graçanicë municipality in Kosovo, who a father of six, recently acquired a pressing machine that will increase by at least threefold his plastic bottle collection income-generating activity. Ismet is one of three Roma individual plastic collectors who received pressing machines from G-PLUS. 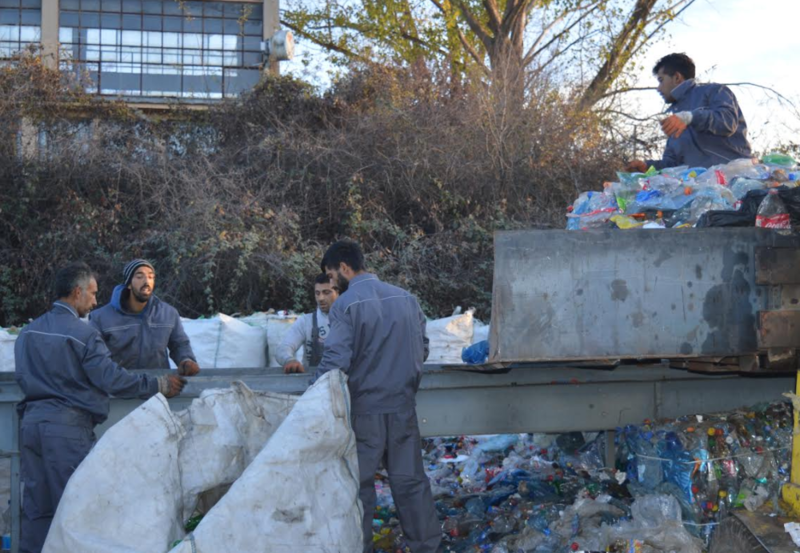 G-PLUS is a waste collection and recycling company, which is collaborating with the Municipality of Gračanica/Graçanicë and PPSE to support income generation activities for the Roma community in the area. The activity is part of a broader project to improve waste management in this municipality, in one hand by increasing the access for individual collectors to collectible and recyclable waste, and on the other hand, to raise awareness of residents about the importance of waste sorting on the household level. SDC representatives who visited the company premises and Ismet learned directly from them about the impact of this private sector-public sector-donor initiative.